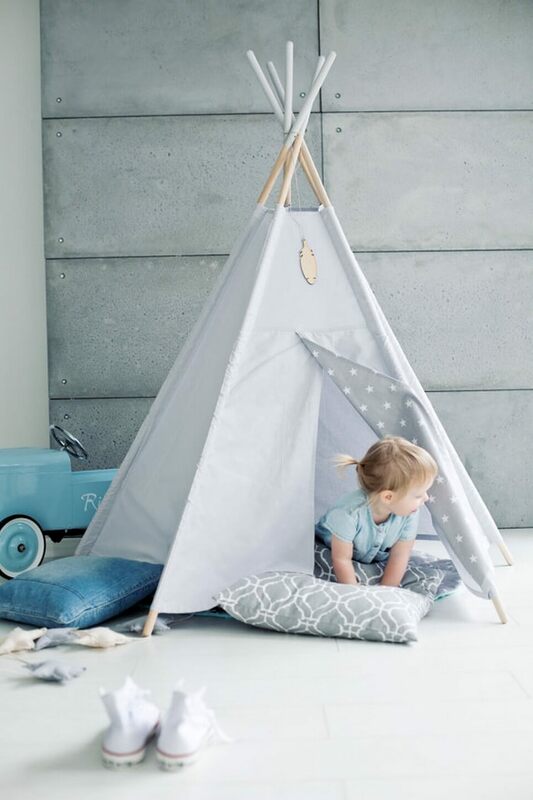 Perfect for hideaways and dens, the Grey Sky Children’s Play Teepee creates an instant cosy indoor and outdoor hideout for your little ones. 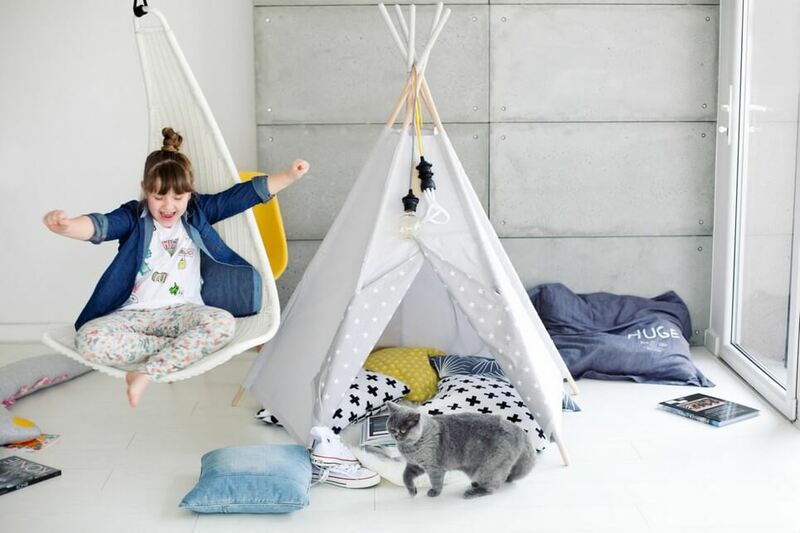 Suitable for children of all ages, this kids teepee can be a castle, a spaceship, a reading nook, but also a great decoration for your house. 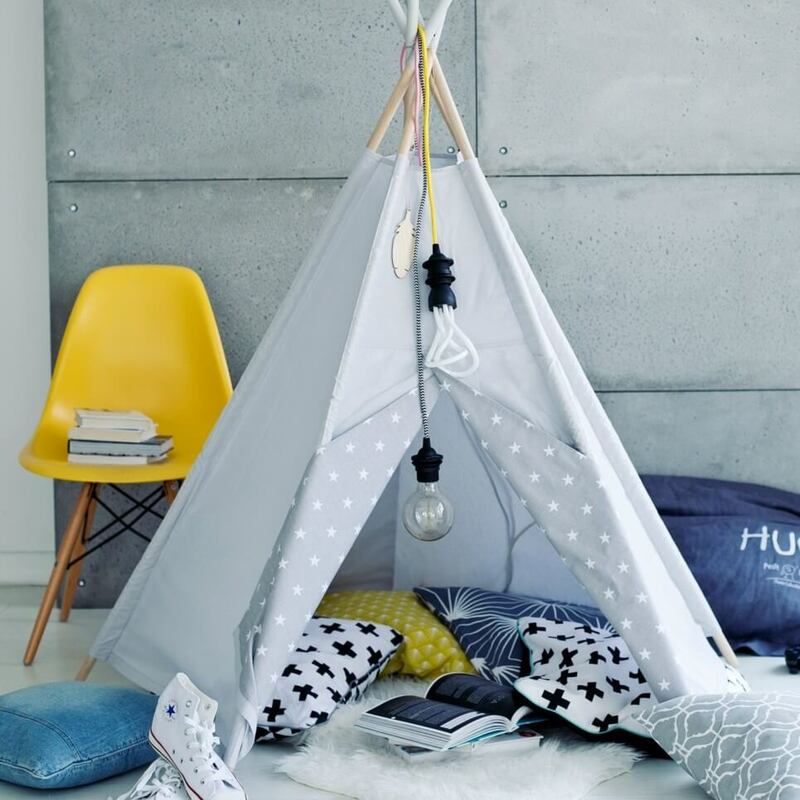 A sweet little play teepee that will inspire many hours of imaginative play for your boy or girl, or simply look stylish decorating a shelf in the nursery. Thanks to its pentagon shape, this children’s teepee match with a corner of a room, giving a maximum space to play. It is a wonderful shelter where children can release their imagination and creativity. 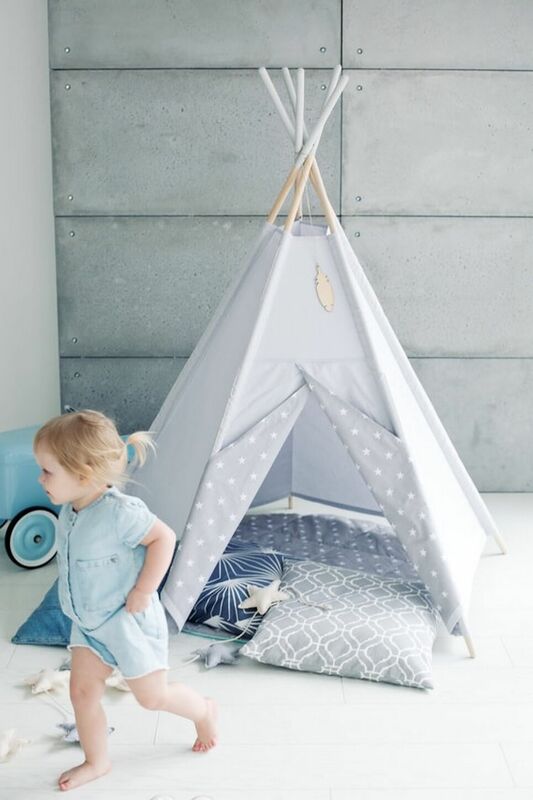 Use the play teepee indoors in a bedroom or play room, or pack away into the neat durable carry bag for use outside providing a perfect shady hide away. Easy to assemble and store away with no tools needed, this handcrafted teepee is made from 100% cotton and comes complete with five wooden poles which are covered securely and neatly by fabric. The teepee canvas can be mashine washed max.30°C and ironed. Air dry. Never place tent in the dryer.